Today, Gotham episode 2 is coming out and I cant wait! The first episode was thrilling and kept me thinking about what would happen next. 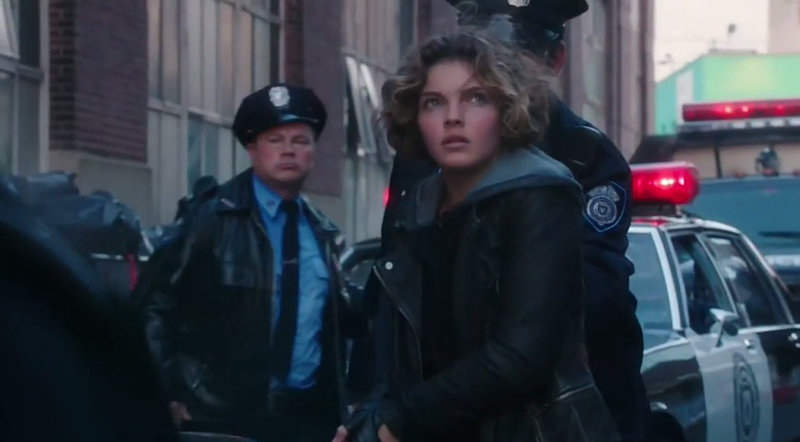 During the episode 2 promo we see a sneak peek of Selina Kyle (Young Catwoman) in cuffs as she is escorted to a police car. This got me especially excited to see how she would get out of this, and how she got into it. But one thing i’m really interested in finding out is, what or who is she looking at? She must be looking at something or someone cause i know if i was in cuffs i wouldn’t be looking up in the sky. Also she really seems concerned…Cant wait! 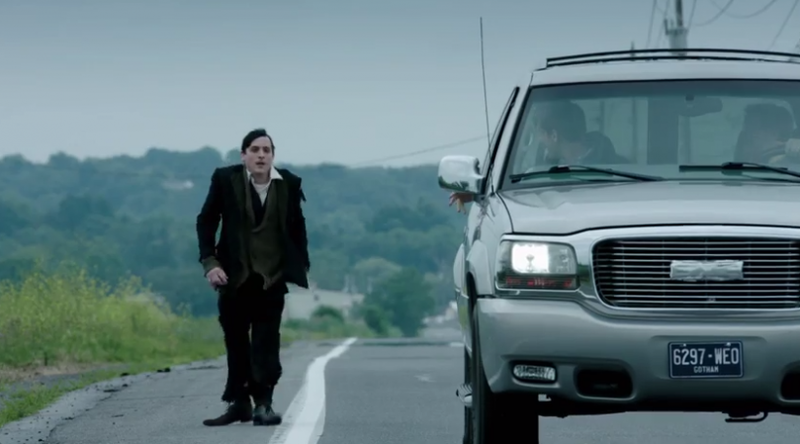 In the promo we also see the penguin returning to Gotham! After Gordon told him to never come back, within less then an episode he is already on his way back. But i suppose he will not be the same. In the promo and ending scene of the first episode we see the penguin turn into a completely different person. A cold-blooded murderer. I wont spoil it all so make sure to tune in at 8pm ET on Fox! * Ok I watched Gotham last night and oh boy it was a treat! Exceeding the pilot in all parts! Well, the highlight for me was Selina Kyle, maybe that’s why the episode is named “Selina Kyle”, but any ways i thought her performance was A+. She had a great role in the episode and the way she acted it out kept me interesting. The flow of episode 2 was a lot like the pilot which i really like, cause most pilots are 10x different than the season. Also, at heart of the episode was a gritty crime drama, but what really surprised me was how they had multiple story lines going on at the same time, a little bit of villain, little bit of cop drama, then a small part of Bruce Wayne’s story while still all being woven into a great episode!